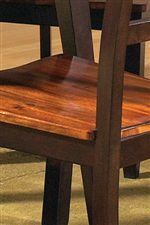 This Cocktail table, with its solid acacia top contrasted with the dark brown legs, gives you a look that will draw the attention of your guests. 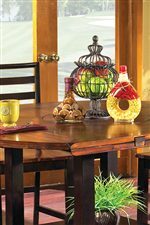 The table features two drawers for keeping your remote or reading glasses close by. 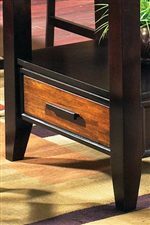 This great looking table has a matching end table, sofa table as well as an entertainment console available to complete your living room or family room. 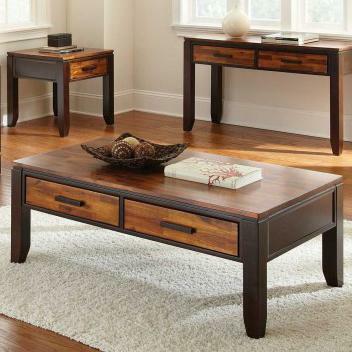 The Abaco Two Drawer Rectangular Coffee Table by Star at EFO Furniture Outlet in the Dunmore, Scranton, Wilkes-Barre, NEPA, Bloomsburg, Pennsylvania area. Product availability may vary. Contact us for the most current availability on this product.